Reserve your free display table now! 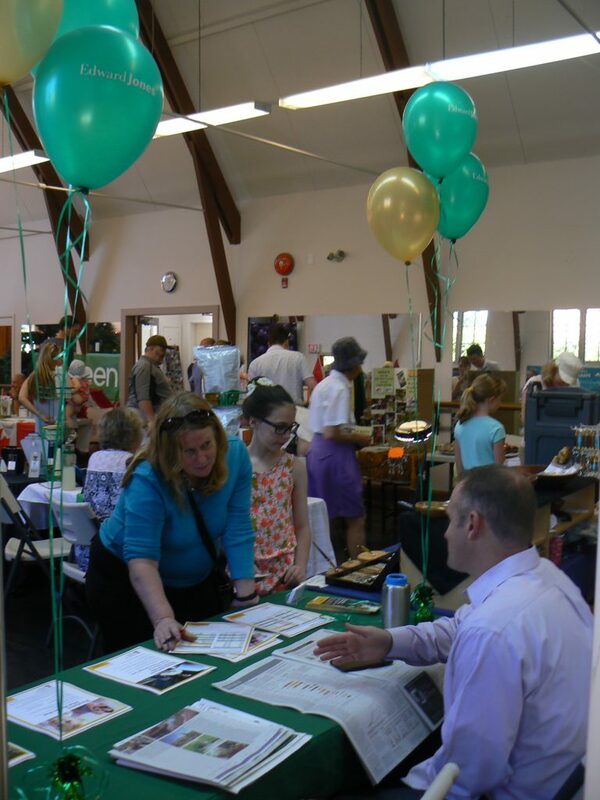 Last year we had over 30 table displays by individuals, companies, and organisations at our 15th annual Cordova Day Bay. 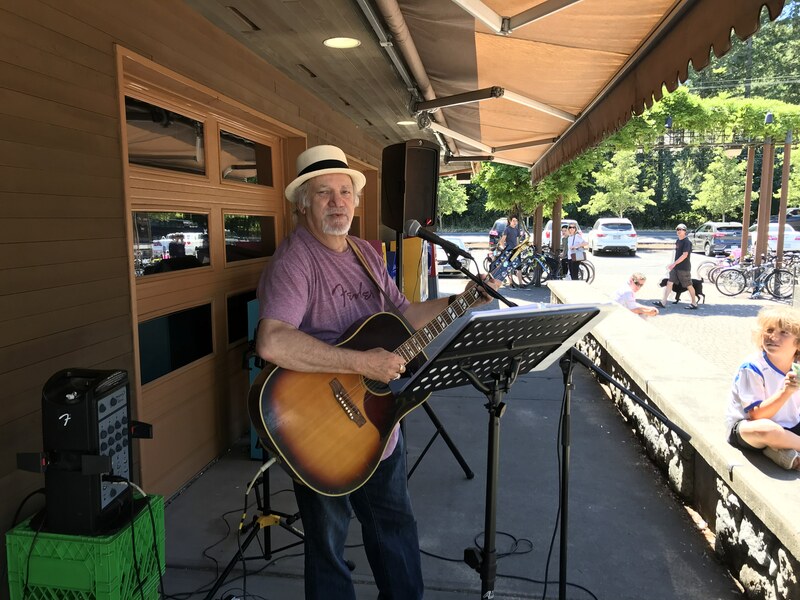 It was a huge success with hundreds of people enjoying the sunshine, food, events, and a community connection. This year we are planning a similar event at St. David’s Church. We are hosting with this event with display tables for the sale of goods, to promote a cause, or provide information. Outside vendors will supply their own tables, chairs, and umbrellas. More promotion and advertising for this year’s event. Time flies so please consider this right away and don’t wait. Get the table area you want and secure it now. Book now by email or phone call, so as not to be disappointed. 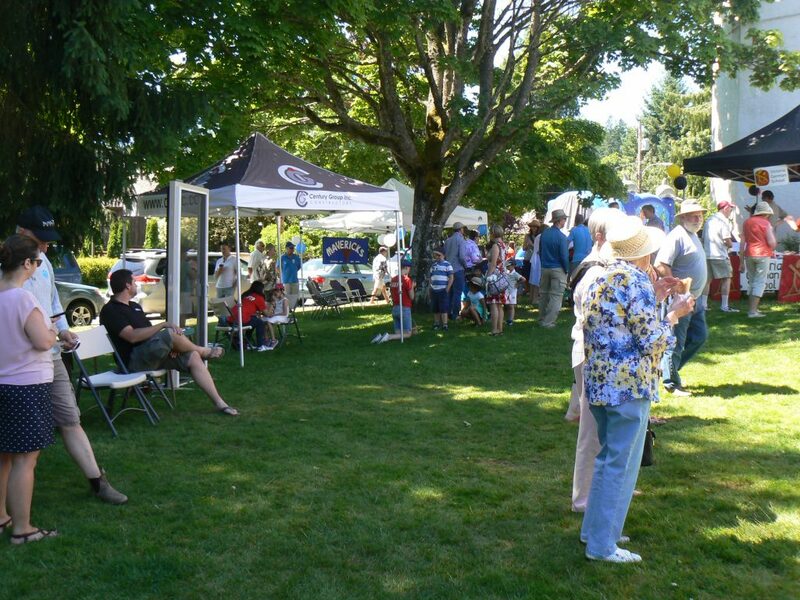 The Cordova Bay Association was proud to organise and sponsor the 15th Cordova Bay Day this year on Saturday June 23. 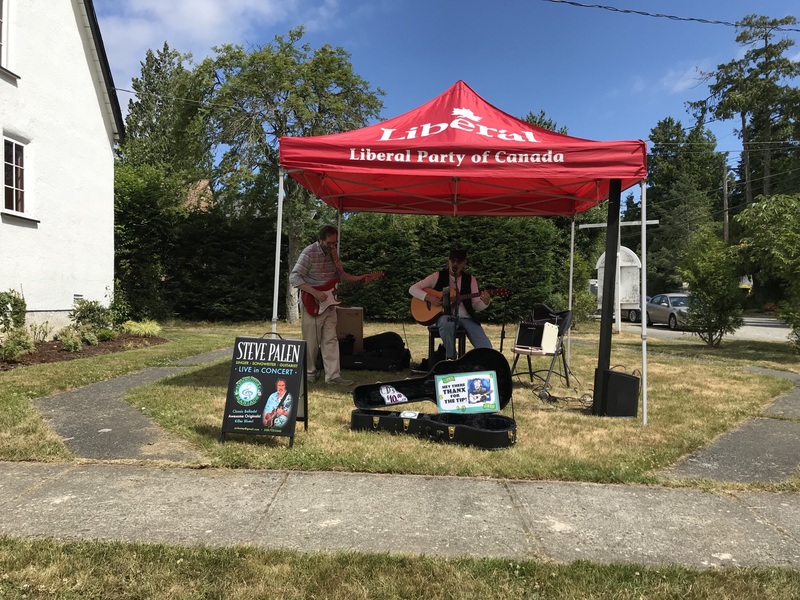 This annual event gets more popular every year with residents, friends, and visitors celebrating the beginning of summer in our wonderful neighbourhood. 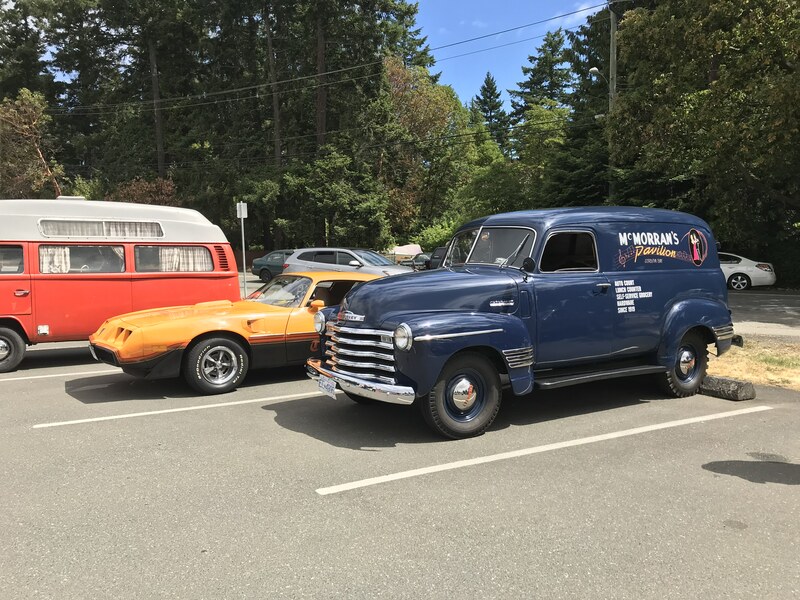 This year as with most years, the weather was ideal and people roamed up and down Cordova Bay Road from 11 am to 3 in the afternoon to check out the activities at three venues. 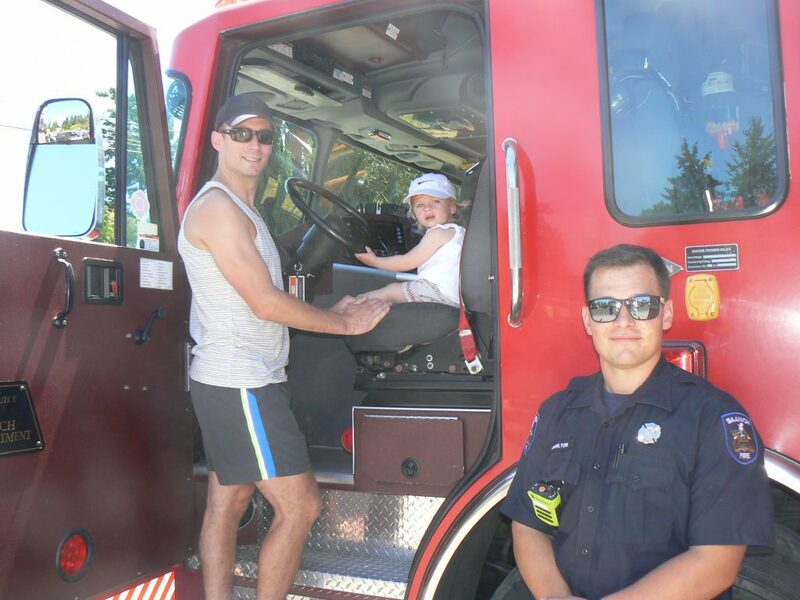 At St. David’s Church we had an inflatable play structure for the children which was sponsored by Lana Popham, display tables with crafts and information both inside and outside, and for a short while a Saanich Fire pumper truck for kids and grown-ups to climb on. 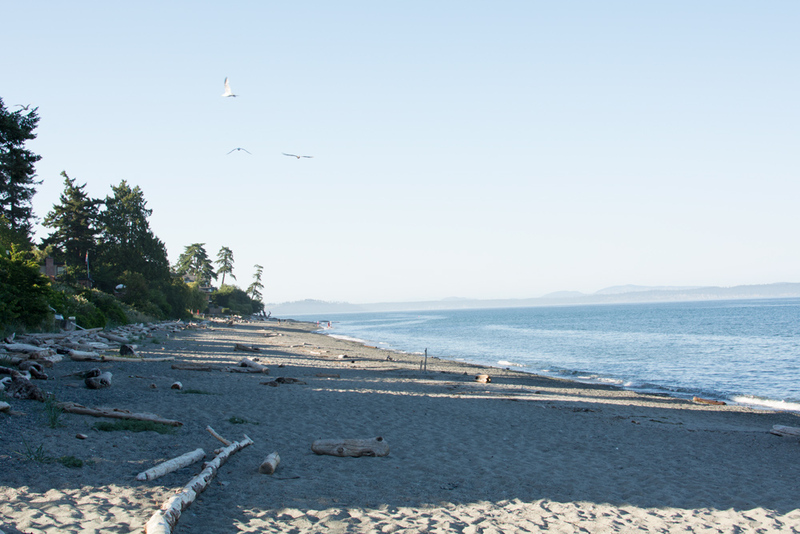 Drinks and snacks were provided by the Cordova Bay Preschool, BBQ hot dogs were served by the German School, and loads of free popcorn was given out. 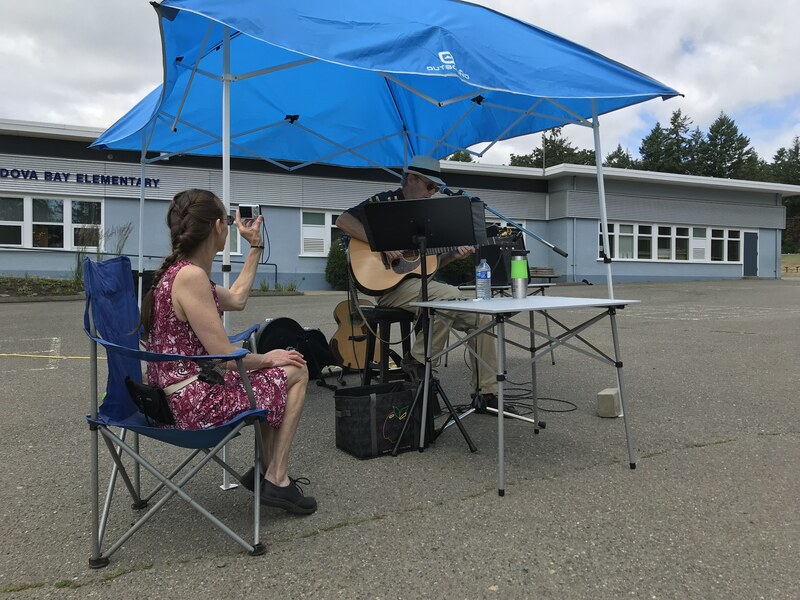 Live music made the atmosphere even better as Steve Palen played all through the day. A couple of blocks down the road a collector car show was held in the parking lot of Cordova Bay Elementary / 55 Plus. People enjoyed looking at the rare vehicles and talking to the proud owners. We saw hot rods and customs, sports cars, military vehicles, police cruiser, a trike, and even Bill O’Kell’s award winning race car . Live music by Burke Rosen serenaded the onlookers all day. Farther up the strip at Mattick’s Farm The Red Barn featured their well known Barn-B-Que selling hamburgers, hot dogs, and veggie burgers. Mattick’s had live music, as well as displays and demonstrations by some of their merchants. 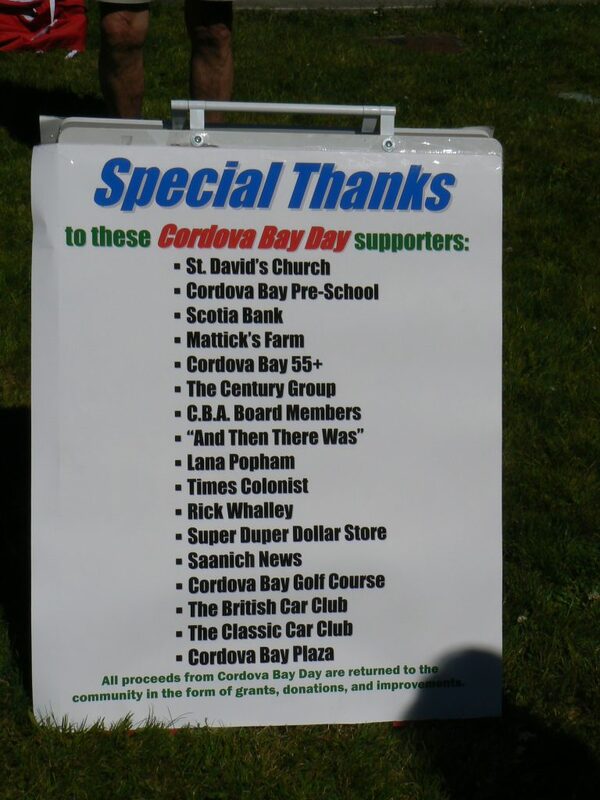 Cordova Bay Day is not a fund raising venture as no revenues are earned with the exception of some donations. 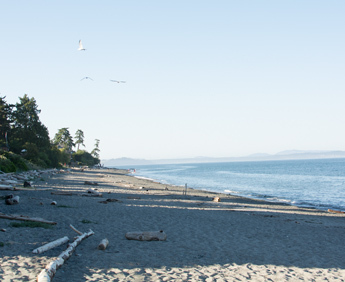 The Cordova Bay Association funds this event and the expenses necessary for the enjoyment of the community. 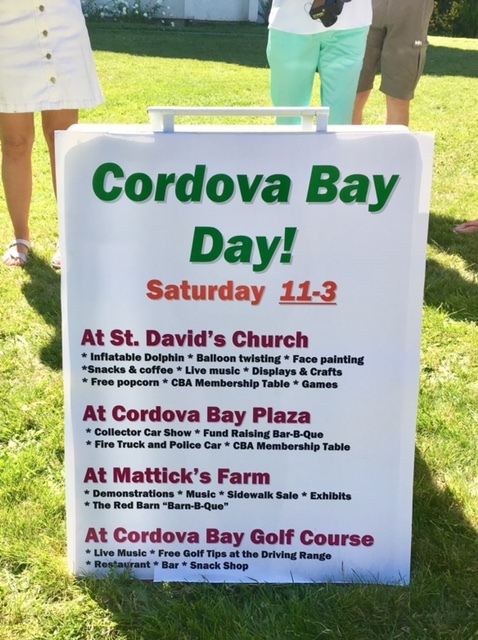 The CBA organisers plan on continuing this tradition and invite members who may wish to be involved to reach out by contacting them for next year’s Cordova Bay Day. 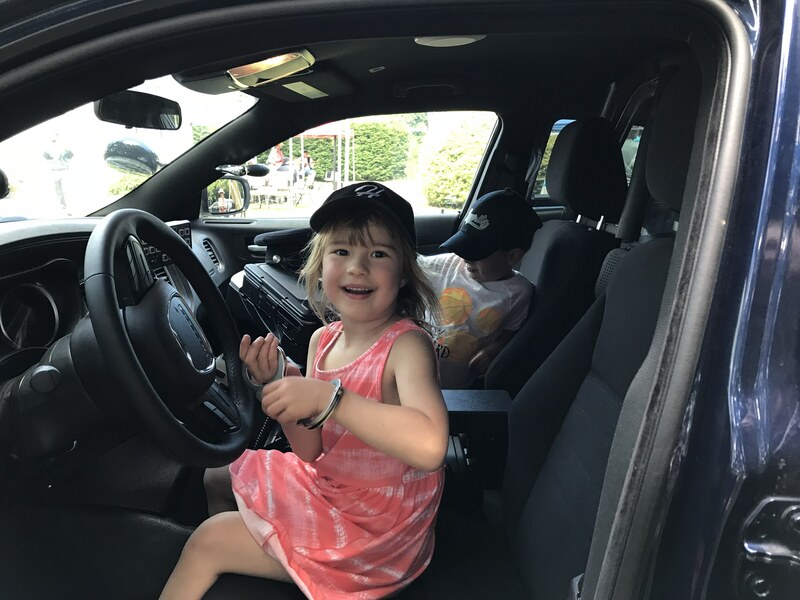 Special thanks to these supporters: St. David’s Church, Cordova Bay Pre-School, Mattick’s Farm, Cordova Bay 55+, The Century Group, CBA Board Members, Lana Popham, Times Colonist, Rick Whalley, Saanich News, The German School, Cordova Bay Elementary, Okell Motorsports, Saanich Fire, Saanich Police and the Canadian Forces. 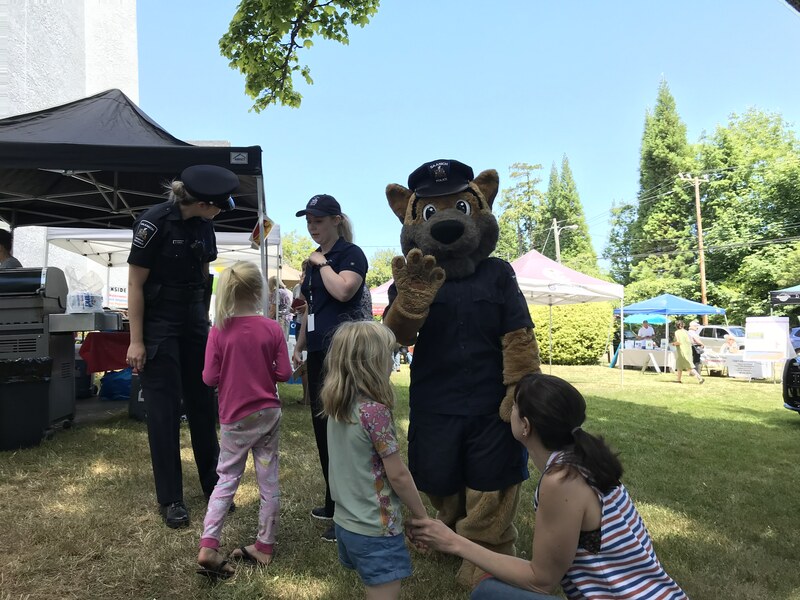 The 14th annual Cordova Bay Day, held on Saturday, June 24th, 2017 was a wonderful community event with well over 2,000 attendees having an enjoyable time on a sunny and pleasant summer day. 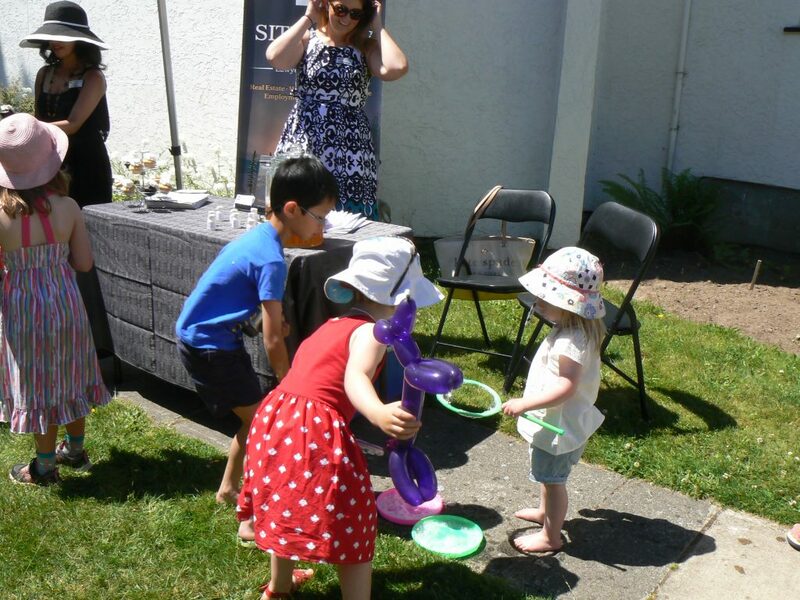 This year’s event was held at St. David by the Sea Anglican Church, with activities also happening at the Cordova Bay Plaza, Mattick’s Farm and Cordova Bay Golf Course. At St. David by the Sea Anglican Church, there was a market-place of local vendors and businesses, crafts, information displays from Saanich Fire, Saanich Police and several other organizations, live music by the band “And Then There Was”, baked goods from the Cordova Bay Pre-School, BBQ hot dogs and baked goods by the Victoria German School, free popcorn, and kids entertainment (inflatable dolphin, face painting and balloon twisting). 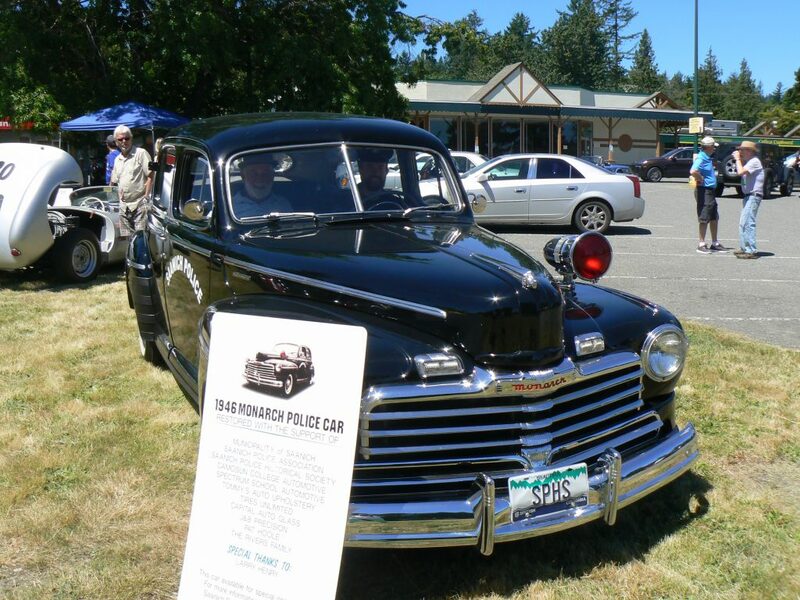 At The Plaza, there was a Scotia Bank fundraising BBQ, a British and Classic car show, a vintage Saanich police car and a modern Saanich fire truck. 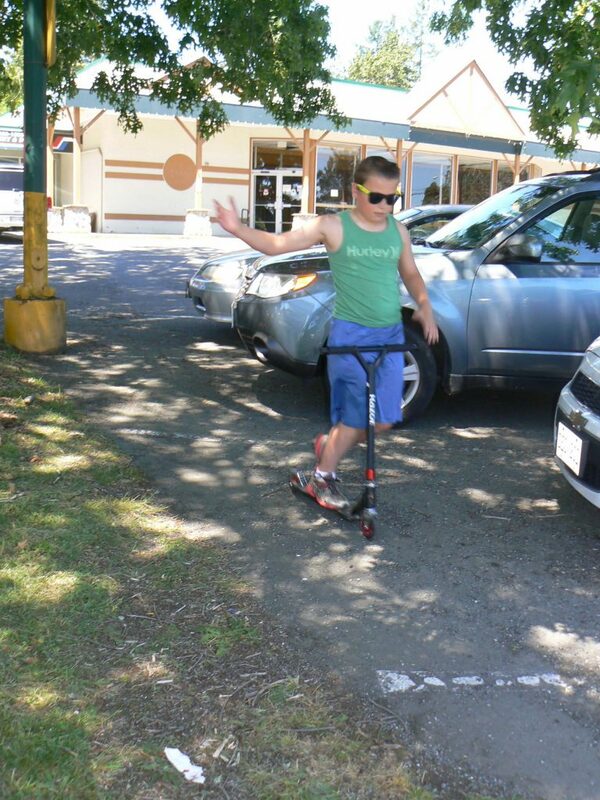 Mattick’s Farm featured mini-golf, live music, art exhibitions, and a sidewalk sale. 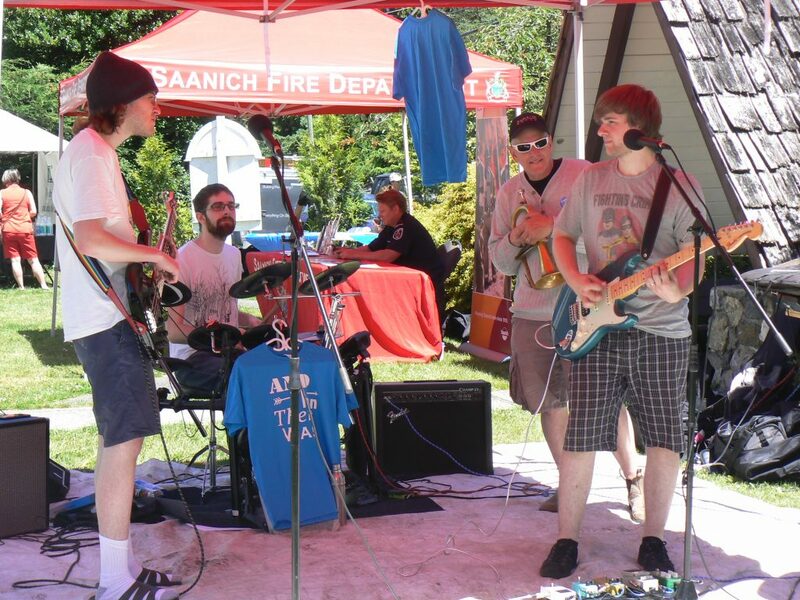 The Cordova Bay Golf Course featured live music, free golf tips at the driving range, restaurant, bar and snack shop. 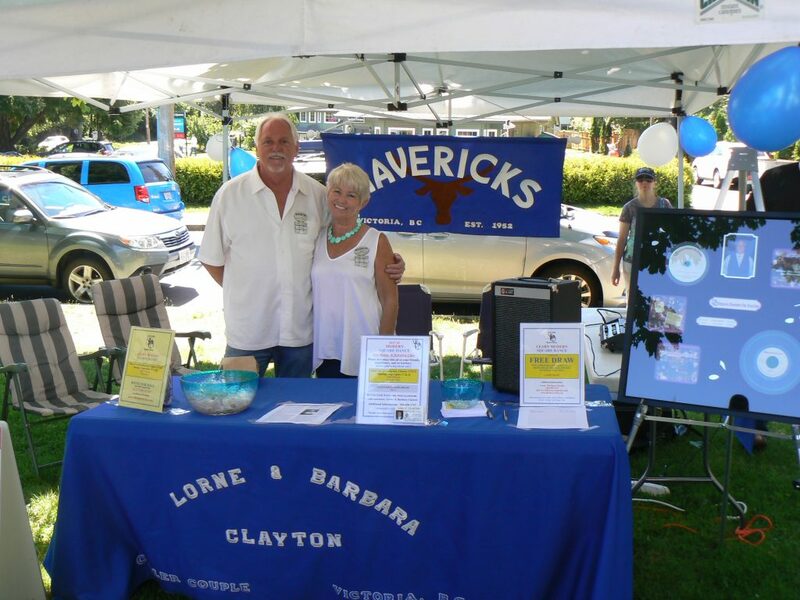 A number of Cordova Bay residents signed up as new members of the Association at our membership tables at The Plaza and St. David’s. 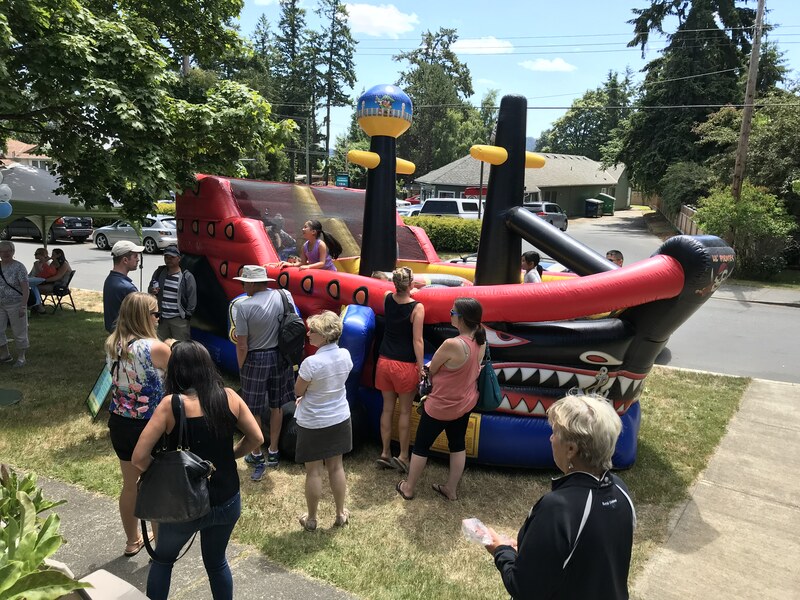 It was great to see so many Cordova Bay residents, as well as visitors from other communities in the Capital Region District, at our community celebration. 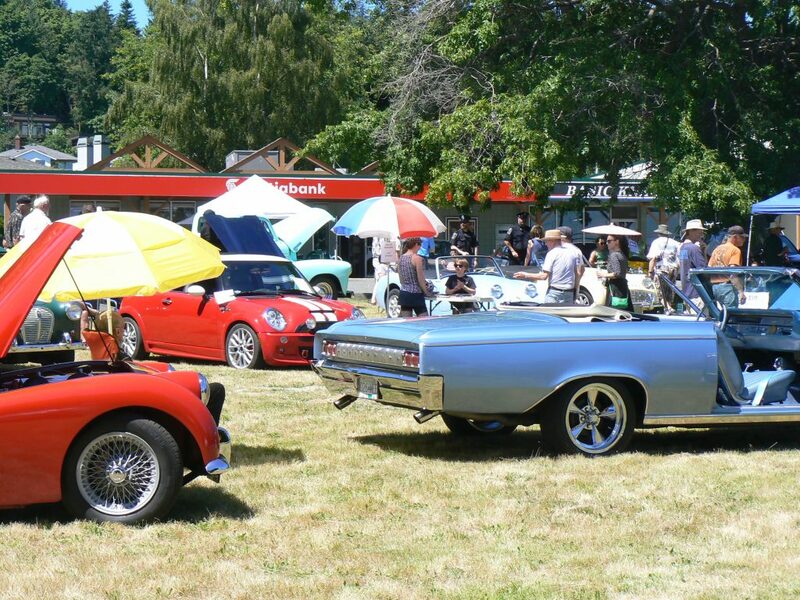 St. David’s Church, The Century Group, Saanich News, Lana Popham, Scotia Bank, Cordova Bay Pre-School, Cordova Bay 55+, Mattick’s Farm, Cordova Bay Golf Course, “And Then There Was”, The British Car Club, The Classic Car Club, Rick Whalley and the CBA Board of Directors. 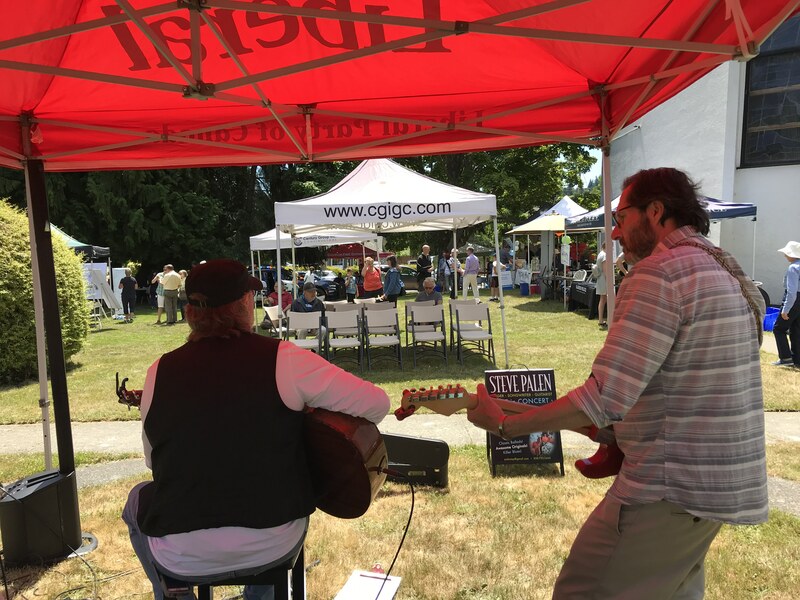 We look forward to seeing everybody again at Cordova Bay Day 2018. Submitted by the Cordova Bay Day 2017 Committee: Larry Gontovnick, Rick Whalley, David Cronkhite, Colleen Flynn, Tim Kane and Randy Otto (Chair). Photos by Barb Lucas and Dave Mitton.